The debut novel from "American Pie" series screenwriter David H. Steinberg. It's the last weekend before high school graduation, and as they prepare to go their separate ways, four life-long friends spend a wild and raucous night in New York City that forces them to face their fear of growing up... and growing apart. West Hartford, Connecticut. Growing up in the suburbs is a mind-numbingly boring experience for most teenagers, and high school seniors Dylan, Noah, Pike, and Walker are no exception. They spend their days testing how fast they can drive on the local residential streets, bribing homeless dudes to buy them beer, and attending crappy house parties. So when Dylan proposes that they spend their last weekend of high school in New York City attending an underground rave, the guys are ready to make some serious memories. In New York, though, the guys have run-ins with a drug dealer with a penchant for fire extinguishers, a Chinese restaurant owner with a score to settle, an Albanian street gang, con men, hookers, performance artists, and a gaggle of hot, degenerate, rich girls. Over the course of one incredible night, their outrageous journey gives the guys a bonding experience they'll never forget, as they learn that part of growing up means they're going to have to face their futures on their own. ONE MORE WEEK. The guys had known this day was coming since kindergarten. Hell, they'd been dreaming about it for years. As the day approached, the constant barrage of lame video-yearbook retrospectives and school newspaper top-ten lists forced them to think of little else. But now that high school graduation was actually upon them, they weren't so sure how they felt anymore. You're eighteen. What were you going to do, get married? This isn't West Virginia. Packed with raunchy humour and hold-on-tight-to-your-socks action, Last Stop This Town is a delightfully entertaining, surprisingly elegant, and intensely gripping story of four friends' last weekend together. And boy, what a weekend it turns out to be! From the screenwriter of "American Pie" series, David H. Steinberg, comes a brilliant and refreshing tale of friendship, growing older and growing apart. It might not be the most profoundly meaningful novel out there, but one absolutely worth reading nevertheless. Four life-long friends: Dylan, Noah, Pike, and Walker. Last weekend before high school graduation. An a brilliant idea to spend it in New York. That's basically the premise of this book. Add to that a whole lot of crazy (with a capital "C") events - from troubles with drug-dealers, to dangerous encounters with street gangs - and what you'll get is one explosive mix. Considering that this book is only 194 pages long, it's remarkable how many plot twists are crammed into it. And in a good way! I honestly didn't have time to pause and catch my breath, I breezed through the whole thing in just a few short hours. As a matter of fact, reading this book felt less like reading and more like watching a good old-school comedy movie. I found myself entirely captivated and laughing out loud. Okay, more like snorting and shaking my head in amusement, but still! I liked all the characters a lot. All four guys are so very different from each other and I loved watching them interacting with one another. The dialogues were fresh, natural and sparkly. Their good-natured, semi-serious bickering was so entertaining and heart-warming, it reminded me of my old group of friends, and I'm pretty sure I teared up a couple of times (yes, I'm sentimental like that). Steinberg did a fabulous job capturing the essence of high school friendship, with all the teen angst, pervy sense of humour and unexpected depth. I loved it! While some humour is hit or miss (mostly hit, though) - depending on the reader's taste - Last Stop This Town is overall very enjoyable and funny. Its attractiveness lies in its honest, engaging, and at times truly moving narrative. And while for the most part it's a light and cheerful read, it does not shy away from melancholic moments, either. They kind of take you by surprise and pull on your heart strings. After all, we've all been there. We all lived through high school surrounded by a tight group of friends. And in the end, we all had to move on with our lives. Last Stop This Town offers a story that we all can relate to, and that is precisely what makes it so readable. It's a great summer read, don't hesitate to pick it up! 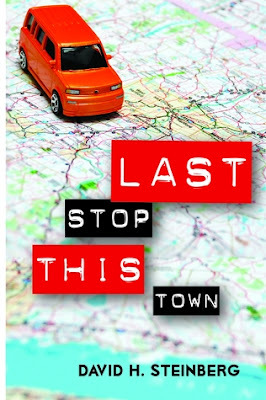 David H. Steinberg has generously offered to give away two paperback copies of Last Stop This Town to two lucky INTERNATIONAL readers! This book sounds so much fun! I've hever read any comedy type contemporary book, so it will be a nice chance! thank you for the review! This book sounds like a good read. I'm glad to know you found the characters so enjoyable. Nothing is worse than a blah character! Thanks for sharing! The first line: "The debut novel from "American Pie" series screenwriter David H. Steinberg" definitely caught my attention! I love in-the-big-city books, and this sounds hilarious. 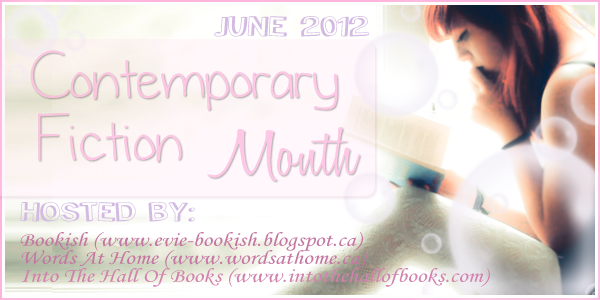 :) Thanks for sharing & for the giveaway! Hahaha sounds like a hilarious book, and a book I know it will make me laugh out loud, too, so thanks for the review, I'll add it on my reading list & thanks for the giveaway! Wow, Its not a book I would have really looked at but the review caught my attention and now I am interested in the book. Thanks for the giveaway! I wonder how a screenwriter goes about writing a book? I'll have to read & see I guess. It does look great. Thanks for a great review and giveaway!! I wouldnt have given it a second glance if i saw it at a book store but after reading your post, it definitely sounds like fun. Thanks! You already had me at raunchy humor and screenwriter of American Pie lol!! This sounds like a fun read. You need those every once in a while. :) Great review. I had never heard about this book before but from your review it seems like a very good read. It really seems like a book I would enjoy. Oh this sounds like a great fun read! I can't even imagine all the problems they encounter in NYC. Great review and thank you for the giveaway. I'm glad that you posted review on this book, because i didn't heard about it. But now I'm gonna read it, 'cause it sounds really good. And, of course, thanks for the giveaway. I normally don't read books centred around male protagonists, but it sounds like it would be a fun read. Any book that in my mind could be made into a TV show on The CW get my vote! Truthfully? I don't know much about this book, it looks intriguing enough, but the overall story is still a mystery - one I wouldn't mind solving - but I'm still a bit on the fence. Winning this would give me an opportunity to find out! This is the first time I've heard of this book but it sounds interesting. I will definitely add it to my wishlist. Never heard of this one before but it sounds good! I especially like the male protagonists- makes a change! Thanks for introducing me to this book, it looks like a funny read! I love American Pie, which means I'm going to like this book also, for sure. Thank you for this giveaway and giving one of the copy for international fan. I'm international. I have always enjoyed reading funny books and this sounds like a good one! Glad to see that you like the characters. I really look forward to reading them. Thanks for giving us an opportunity to read the book. Last weekend together AND in New York is bound to create adventure. Tnanks for the review and the giveaway! You made me want to read this bok, you said it`s elegant and the fact of a last weekend with friends is so intriging! The book sounds great! I'm looking forward to reading this :D And thanks for the giveaway, I'm International by the way.